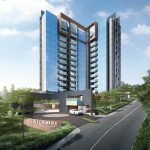 Welcome to Riverfront Residences. A new condominium fronting Serangoon River and a park connector, and 10 to 12 minutes walk to Hougang MRT station on the North-East line. 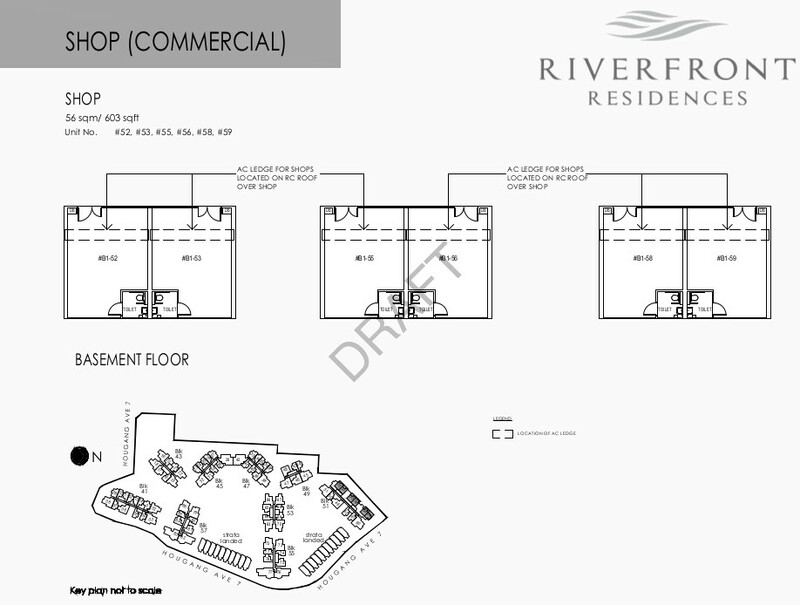 Riverfront Residences condo is located in an established housing estate. 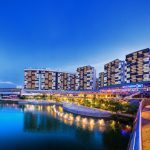 Our riverfront condo is only one of a few strung out along Sungei (River) Serangoon Reservoir, the latest of which was Kingsford Waterbay that is over 95% sold. 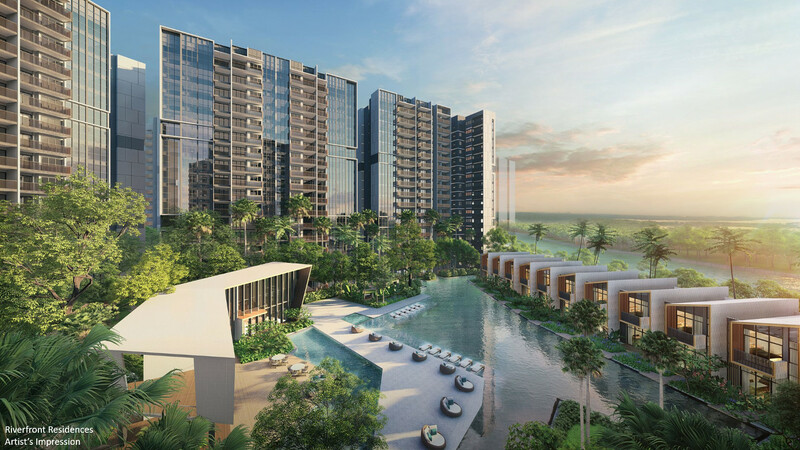 Of the condominiums along the river that were launched for sale in the last 10 years or so, like Boathouse Residences, Kingsford Waterbay and Heron Bay, Riverfront Residences is closest to an MRT station. 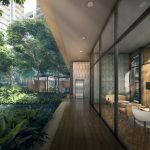 A 10 to 12 minute walk, much of it cutting under the shelter of the HDB flats in between, will take you to Hougang MRT station and Town Centre. 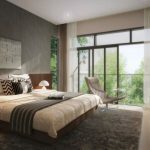 In addition, Riverfront Residence has the advantage of having a long frontage to the river – more than 200 metres of calming waterfront and greenery views. Looking at the URA Master Plan, this and the next door neighbour are the only two sites with park zoning across the river. 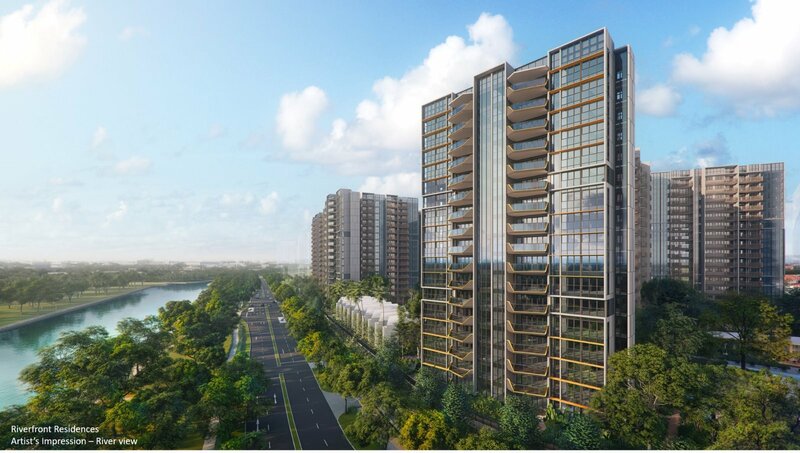 Facing this riverfront condo beyond the 100m or so stretch of river, will be a park roughly 80m to 130m wide. It adds up to water and greenery views for quite a distance. 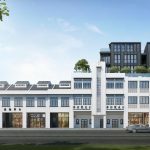 These attributes plus its walkable proximity to the malls and upcoming Integrated Transport Hub at Hougang Central, led to strong interest from developers at the en bloc sale of this former Rio Casa site. 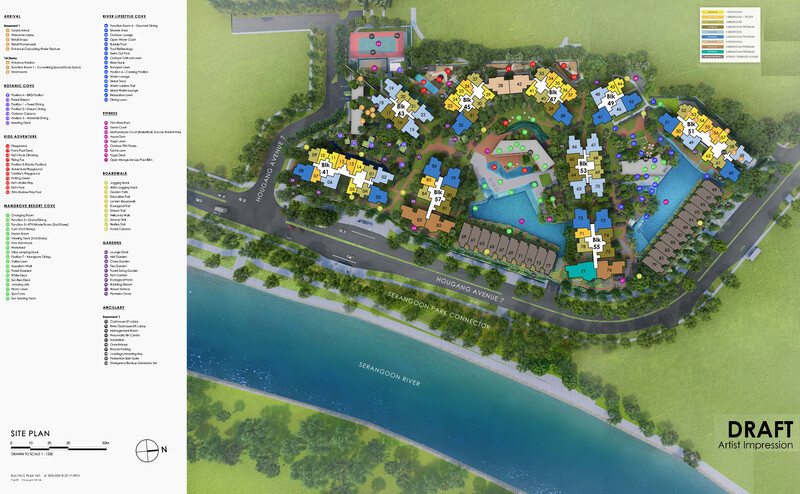 There also won’t be any other new launch in the vicinity of Riverfront Residence in the near to medium term. 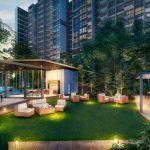 Project Account UOB for project account number 451-308-246-5 OF RIO CASA VENTURE PTE. LTD. 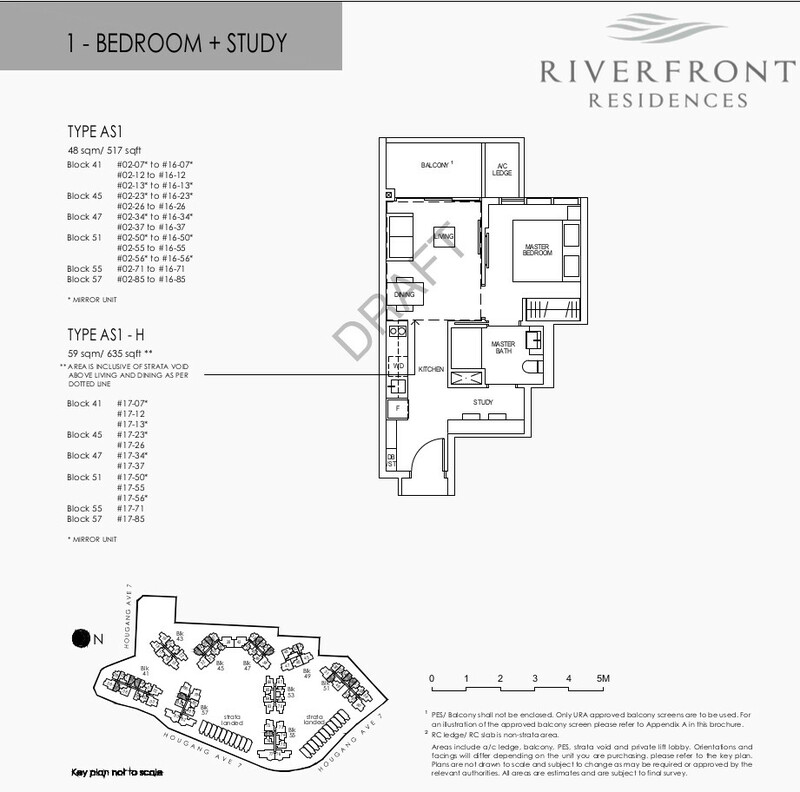 The full set of Riverfront Residences condo floor plans are now available. 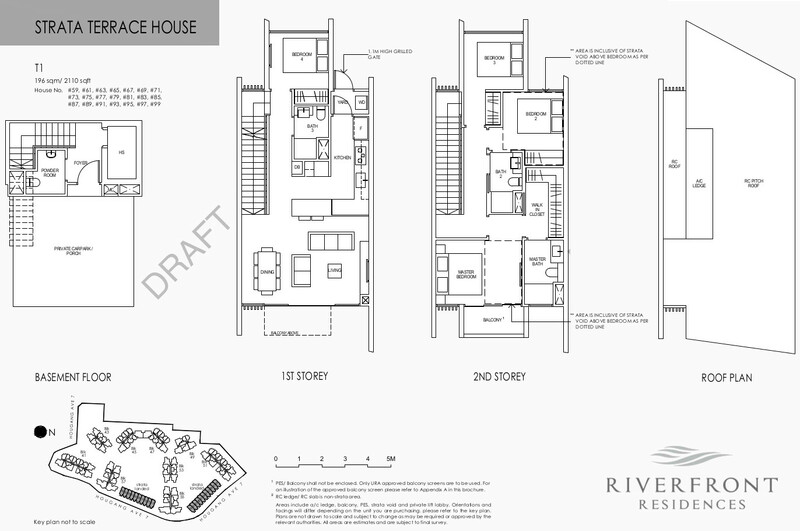 Kindly drop us a note below if you would like the Riverfront Residences floor plans to be emailed to you. The Riverfront condo site is a longish land parcel fronting Hougang Avenue 7 on its east. On its west the northern section of the site faces a HDB estate. 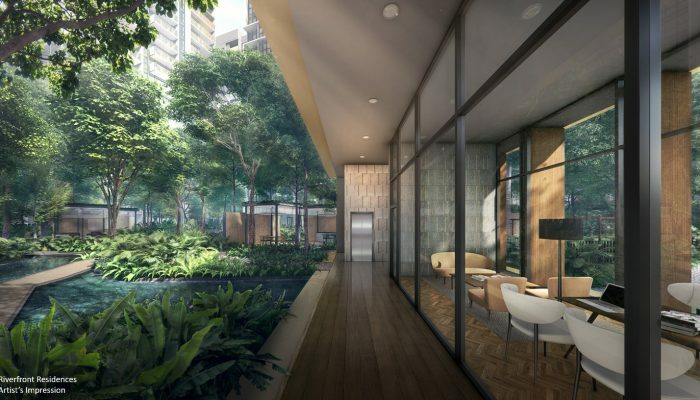 Its middle section has the best views – open outlook to the west over the neighbourhood park, and beyond to the landed houses of St. Xavier’s Lane and Jalan Lye Kwee. 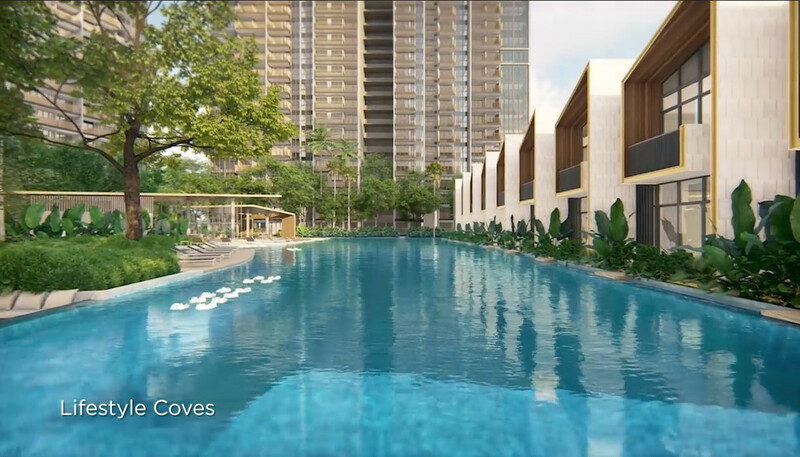 On its east, it has pool and river, and park views. 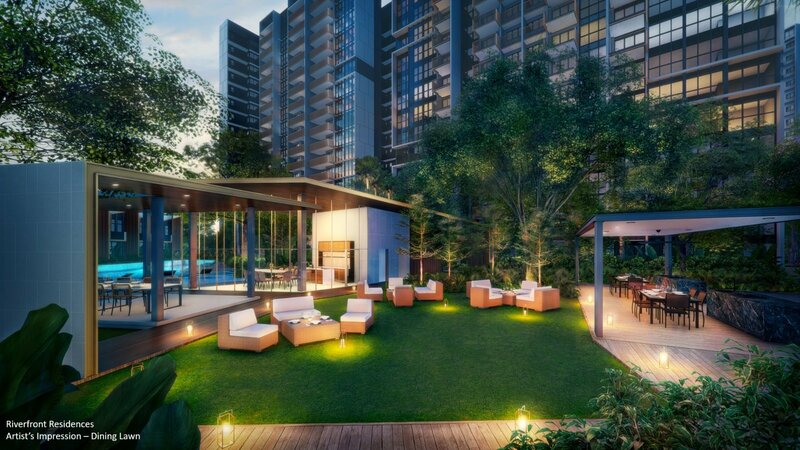 The Riverfront Residences showflat is now open for viewing. 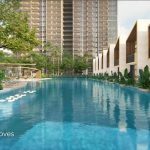 Please drop us a line below if you wish to view the Riverfront condo showflat. Status as at 10 November 2018. Below is the pricing range after current discounts. Available for a limited period now. These are the lowest new launch prices in 2018. 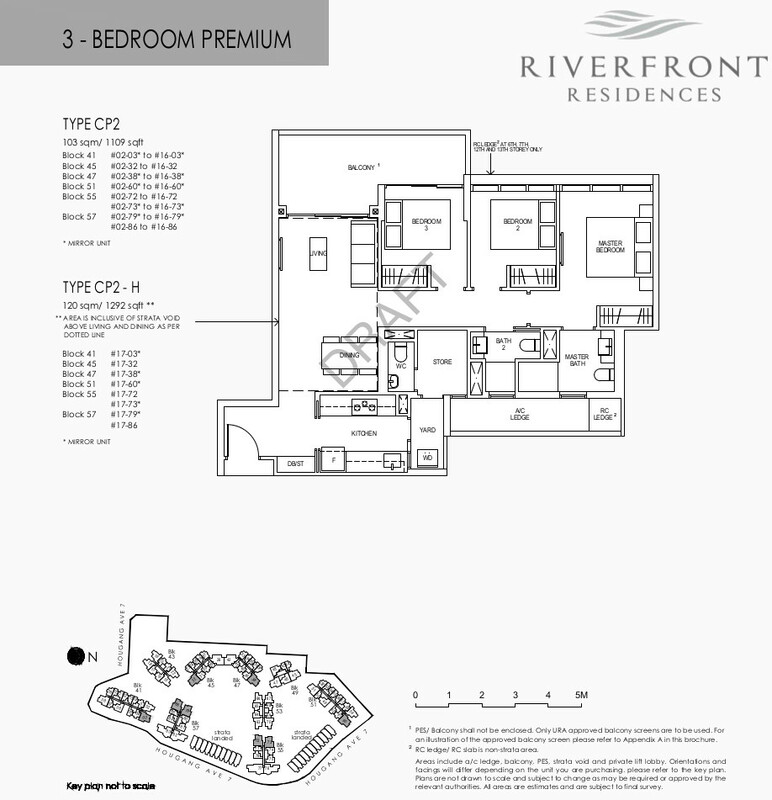 Please drop us a note below if you wish to get details of the Riverfront Residences prices. The land for our Riverfront condo was originally the Rio Casa site, sold collectively to Oxley-Lian Beng Venture Pte Ltd for $575 million in May 2017. On top of the collective sale price, there is an additional differential premium of roughly $208 million payable to the State to top up the lease to a fresh 99 years, and to develop the site to its maximum gross plot ratio (GPR) of 2.8. This translates to a land rate of about $706 per square foot per plot ratio (PSF PPR). At that time the Rio Casa pricing seemed high. But compare it to the cost of land since then. The nearest most comparable examples being the S$835 PSF PPR that Oxley itself paid for the 2.76ha Serangoon Ville collective sale site, and the S$964 PSF PPR paid by Keppel-Wing Tai for a Serangoon North site (both in July 2017), neither of which are easy walking distance of an MRT station. 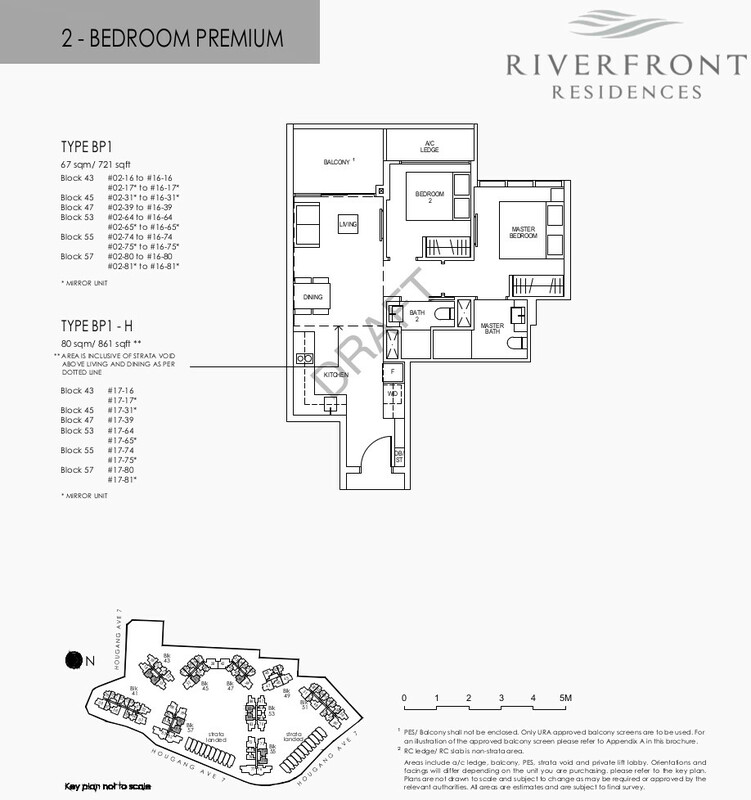 Hence Riverfront Residence prices have benefited from getting its site in the early days of the current enbloc fever. Its pricing is able to start from a base of $130 to $250 less than the nearby launches. Based on construction and development cost of around $500+ PSF, break even works out slightly over $1,150 PSF. Riverfront Residence VIP Preview prices starting at around $1,2xx PSF, is the lowest on the market to date for 2018, even compared to launches that are not within walking distance of an MRT station. 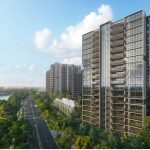 Riverfront Residences Singapore is jointly developed by Oxley Holdings (35%), KSH Holdings (35%), Lian Beng Group (20%) and Apricot Capital (10%). 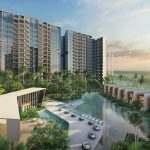 Oxley Holdings is currently one of the most prolific developers in Singapore, with a capitalisation of almost $2 billion as of January 2018. They have built over 1,635 homes, and won numerous design and development awards, including for a Royal Wharf project in London (2015). From a small start, Oxley has grown to the point that it now has a presence across 12 markets. 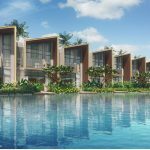 Its portfolio covers residential, industrial and commercial developments in Singapore, Malaysia, China, Indonesia, Australia, the UK, Japan, Cyprus, Ireland, Vietnam, Cambodia, and Myanmar. 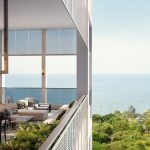 As part of its strategy, Oxley has entered into partnerships with local and overseas developers. In 2013 it acquired a 20% stake in Galliard (Group) Limited in the UK. 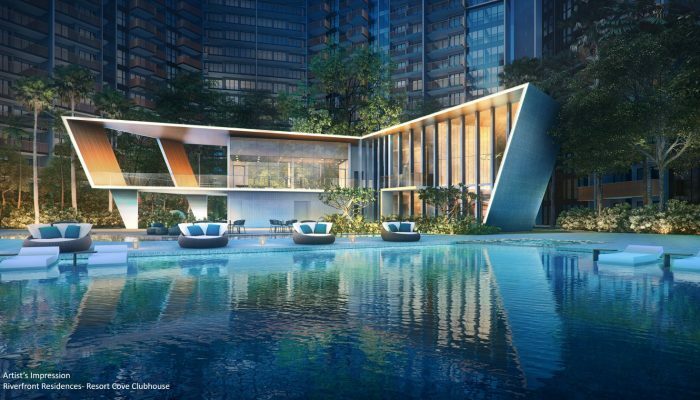 After that it also acquired a 40% stake in Pindan Group Pty Ltd (Western Australia), and a 15% stake in United Engineers, a Singapore engineering and property development company founded in 1912. 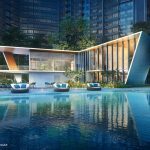 KSH is a property development, construction, and property investment group incorporated in Singapore in 1979, and listed on the SGX-ST since February 2007. It is an A1-graded contractor with the ability to tender for public sector construction projects of unlimited value, and a track record of construction projects across a wide spectrum of industries. 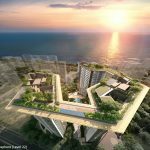 It has also executed residential and mixed-use development projects in Singapore and China. 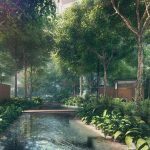 KSH has won numerous BCA Construction Excellence Awards, such as for Fullerton Bay Hotel & NUS University Town Education Resource Centre in 2013, and Madison Residences in 2014. The Lian Beng Group was established in 1973 and is a major home-grown construction group. It is largely the main contractor for construction & civil engineering projects. Its status as a BCA A1 grade contractor enables it to tender for public sector projects of unlimited contract value. 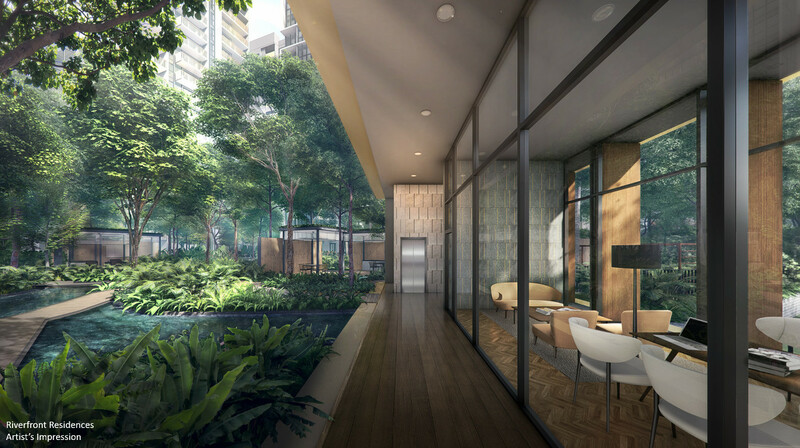 Lian Beng has also developed projects such as Derbyshire Heights and Rocca Balestier. Location. 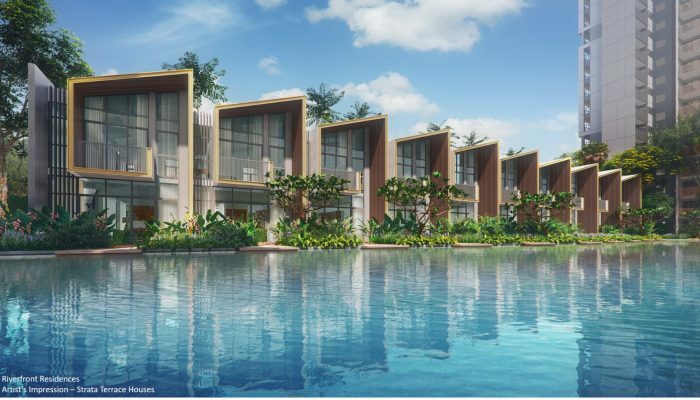 The Riverfront Residences condo location is in the long-time residential estate of Hougang, beside the Serangoon Reservoir River. 50 or 60 years ago, this was a Teochew stronghold, near to Kangkar (the river mouth) where the fishing boats used to put in at dawn with their catch. It has evolved a lot since then. Shops, F&B, Supermarkets. Hougang Mall and Kangkar Mall supplies all the necessities and a bit more, at Hougang Central around 10 minutes walk away. Or you could take the train a couple of stops down to Nex at Serangoon Central. 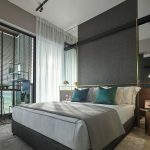 Alternatively, a 5 to 10 minute bus ride down Serangoon Road will bring you to the food joints of Kovan, its coffee shops and traditional fare. Schools. 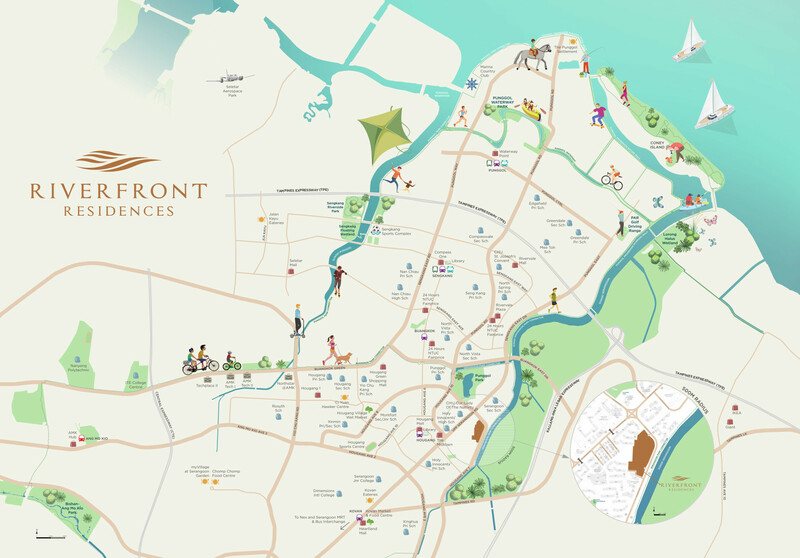 The Riverfront Residences location is within 1 km of CHIJ Convent (Punggol) and Holy Innocents Primary School (one of the more sought after primary schools in Singapore). Nearest MRT Station. 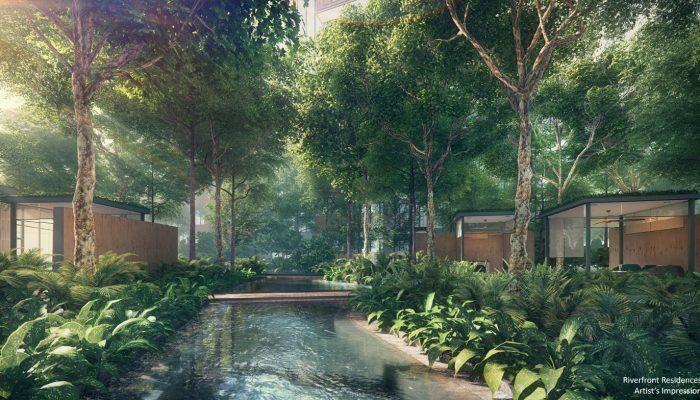 Take a feeder bus or walk about 12 minutes to Hougang MRT station at Hougang Central. Parks and Nature Walks. The Riverfront condo location is just opposite the Serangoon River Park Connector, a walking & cycling track that leads to the greenery and facilities of Punggol Waterway. 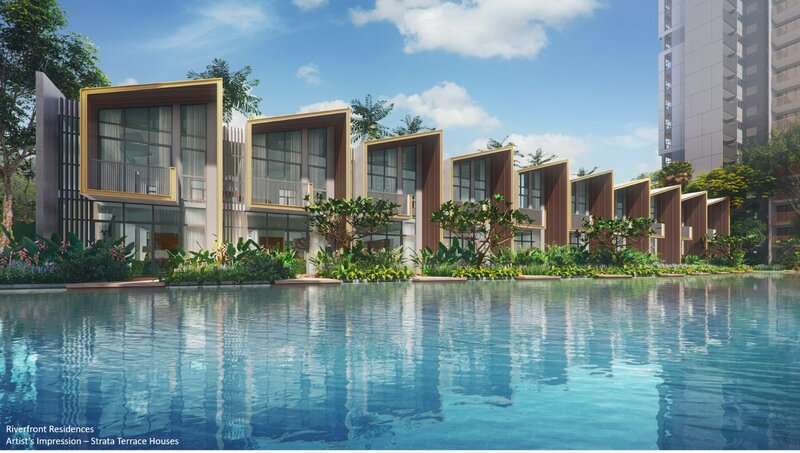 Or you could take a 5 to 6 minute stroll to Punggol Park and its pond.